Halo 4’s first official DLC will be coming out on December 10th, for 800 MSP ($10) The content is already included in the War Games Season Pass so if you have purchased that then you will only need to download this pack, titled Crimson Map Pack. This map pack will bring three new multiplayer arena’s to the fight as well as a new mode titled Extraction. There will be a new playlist exclusive to this map pack as well, so purchasers can make sure to get their moneys worth. Full details below. “Extraction”: Extraction is a 5 vs. 5 objective-based game type where opposing Spartan teams are tasked with extracting assets from various sites around the map. Once a team has found a site and is in position, they must plant their beacon and protect it from the opposing team while the extraction process occurs. 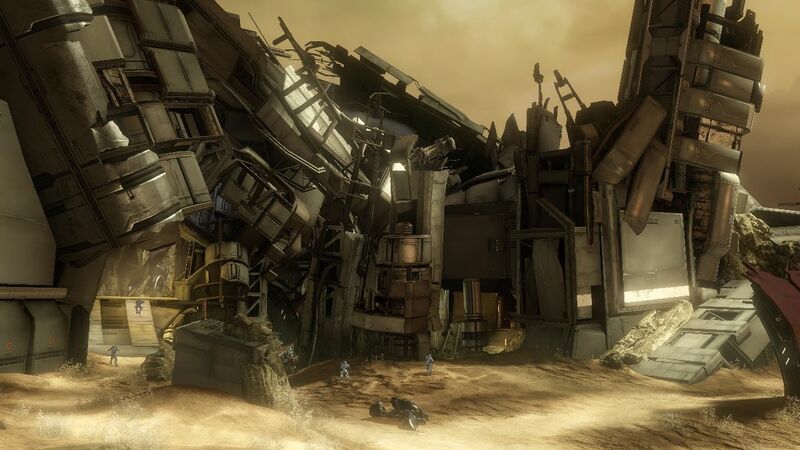 If the defending team remains in control of the beacon, they receive one point, however if the opposing team overtakes the site before extraction is complete, the point goes to them. Once a site has been extracted, a new site becomes available. The first team to extract five points wins. Nice, its pretty cool there are levels coming already, as I feel on the core game I only ever see the same 4 maps over and over. But my month of Gold just expired again and don’t have extra money right now to get another. Assassins Creed 3 and Halo 4 multiplayer are taunting me. Yeah, the levels aren’t quite as varied as I had hoped. It’s also annoying that there are Forge maps that don’t have any spots in the playlists that I’ve seen yet as well. That would be an easy way to inject some newness without any real effort. I probably should give this a purchase. Seeing as Halo 4 and Black ops are taking up most of my time. Well that was until I decided to dive back into the wild west with red dead. Nothing wrong with going back into that one. Still better than most games to me.